From Juno Lighting, this white plastic baffle trim blends into the ceiling to create an streamlined look. Trim and compact, this recessed unit from Juno is the perfect choice for providing unobtrusive room illumination. The white plastic baffle helps in absorbing stray light and blends into the ceiling. It features deep lamp shielding for maximum brightness control and a tapered baffle trim. 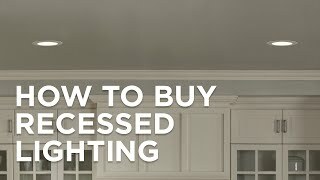 Use this light in kitchens or anywhere else that needs more light. Rated for use with one 50 Watt PAR-30 bulb (not included). Save money with this Juno Lighting IC rated recessed light housing. It features a double wall housing which allows for higher wattage lamps. This deluxe universal housing is rated IC and air-loc ready. The aluminum housing may be covered with insulation. 7 1/2" high. 9 5/8" wide. 17 1/4" long. 6 7/8" ceiling opening. This repositionable designer ceiling medallion is made just for recessed lighting. Based on original hand-painted artwork, the medallion offers a beautiful accent for kitchens, seating areas or anywhere you have recessed lights. It's printed on canvas using printers used for fine art reproductions, and has a wonderful, European Renaissance inspired pattern. To install, peel the medallion from the backing, position around the recessed can opening, and reinstall the can trim. The medallions are made with a sticky backing, allowing them to be installed and removed dozens of times. You can use a wallpaper brush or smoother to remove any air bubbles. 12" wide. 6 1/2" opening. For use with 6" recessed cans. Can I get the plastic trim in 4 and 5 inch for 3.99? BEST ANSWER: Hi - I am sorry, we currently do not offer a trim with those specs and price point. But, you may view your current options by clicking on the links below. Is the entire piece plastic except for the springs? BEST ANSWER: Yes - the trim and baffle are constructed of plastic. does this trim come to a cone that connects to the light socket or does it have an open top with springs that attach to the housing? BEST ANSWER: Hi talon - This trim is open with a spring that connects to the housing. Update your inefficient recessed lights with this special-design brushed bronze surface mount or retrofit trim illuminated by an energy-saving LED module. Easily replace an outdated recessed light with this specially-designedantique nickel finish LED surface mount or retrofit trim.